Owners John Blevins (left) and Analiesa Gosnell. 1) Clove and Hoof (4001 Broadway, Oakland), Temescal’s hybrid butcher shop/sandwich shop combo, won my heart by serving some of the best damn sandwiches in the city. Owners Analiesa Gosnell and John Blevins have been gearing up to start dinner service for a while now, and yesterday they sent me a copy of a typical dinner menu, which — no surprise — looks like it’s going to be a meat lover’s delight. How do pig head cakes sound to you? Or the restaurant’s signature fish sauce caramel fried chicken, but served with waffles and red-eye gravy instead of on a sandwich? Or a steak of the day served with horseradish bone marrow mash? 2) Upscale British pub The Growlers’ Arms (4214 Park Blvd., Oakland) is closing after less than a year in business, Tablehopper reports. Tonight will be the last dinner service — a $45 three-course prix-fixe prepared by guest chefs, and an opportunity for fans of the restaurant to say goodbye. 3) There’s a lot of ice cream news this week, which seems fitting, given our recent heat wave. 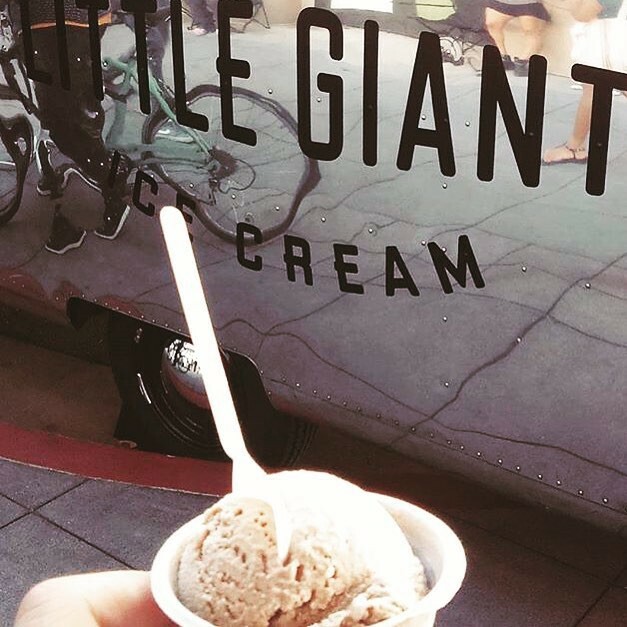 First off, Berkeleyside Nosh reports that Uptown Oakland’s Little Giant (1951 Telegraph Ave.) — an “American premium hard scoop” ice cream parlor — is now open for business, just weeks after news of the place first broke. 4) Meanwhile, the Berkeley-based meal delivery service SpoonRocket is celebrating Customer Appreciation Week by offering a free It’s-It ice cream sandwich with every order this week. The company was voted “Best Delivery Service” in the Express’s recent Best of the East Bay readers’ poll. 5) Last but not least, the new Alameda location of the popular customizable ice cream sandwich shop C.R.E.A.M. (2630 5th St., Ste. A) will celebrate its grand opening by giving away free ice cream sandwiches all day on Saturday, August 22, from noon to midnight. 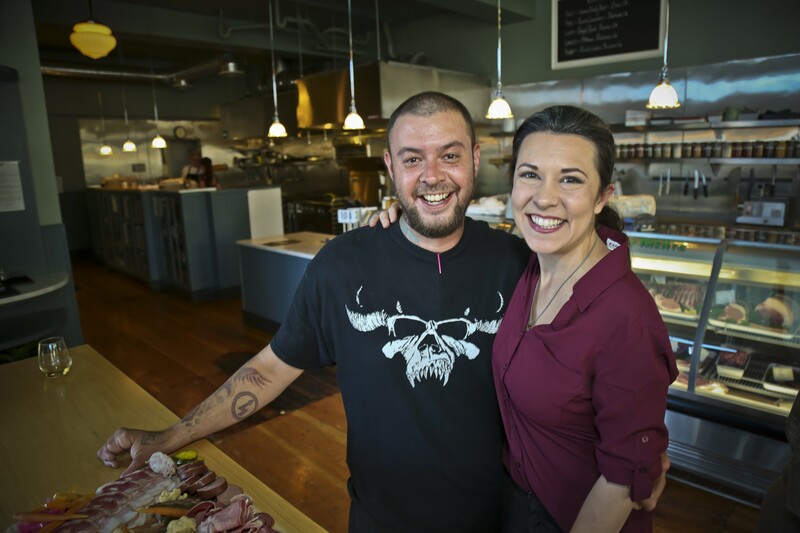 6) The owners of the excellent Adams Point wine shop Bay Grape (376 Grand Ave., Oakland) have been away in Australia for the past week — presumably scoping out delicious new wines to bring to Oakland. The shop should reopen shortly, though, and Eater reports that it will host a one-year anniversary party this Saturday, August 22, from 5 to 9 p.m. Several winemakers will be in attendance. 7) In other Adams Point news, the popular Ethiopian restaurant Enssaro (366 Grand Ave.) is moving — but just barely down the street to a larger space at 357A Grand Avenue. In the meantime, diners who eat at the old Ensarro from now until the end of the month will receive a gift card that will entitle them to receive a free draft beer, coffee, honey wine, and a few selected food items at the new location once it opens. 8) Renowned pop-up master Chris Kronner has been hosting occasional pop-up dinners at KronnerBurger (4063 Piedmont Ave., Oakland) on Monday nights, when the restaurant is normally closed. Next week's — featuring rib steaks aged for 90 days — sounds like a doozy. I wrote a little preview over here. 9) Summertime is a good time to eat some smoked meat, and Bay Area Bites ran a nice roundup of East Bay barbecue options, which run gamut from regional specialists to Oakland originals. The Express has run full reviews of most of the spots listed, including, most recently, BBQ Hut in North Oakland and Perdition Smokehouse in Berkeley. It sounds like the country bar Overland, the subject of this week’s food review, will be getting in on the barbecue game shortly as well. 10) Finally, ICYMI, it’s back-to-school week for kids in Oakland public schools, who will have a new addition on their school lunch menu: organic beef from retired dairy cows.